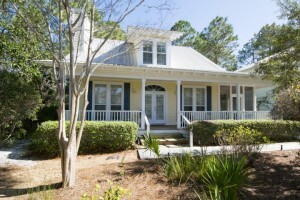 Charming home in the heart of Seagrove Beach just listed. Located just east of the iconic town of Seaside, this 30A home features 4 bedrooms, 3 bathrooms, a carriage home, detached garage, large screened porch, and 2,048 sq. ft. of heated and cooled space. This home is in the quaint community of Grove by the Sea which features 2 pools, a tennis court, and is walking distance to Seaside and Watercolor. Call us today to see this Seagrove Beach home for sale. Contact us at The Beach Group at 850.231.9007 for more information on Seagrove Beach real estate.